Following the granting of an appeal in favor of the Zeek Rewards Receiver, VictoriaBank has filed a rehearing petition. In the April 9th petition, VictoriaBank reasserts the validity of the District Court’s order. At its heart, the District Court’s Order granting Victoriabank’s motion to dismiss for lack of personal jurisdiction was based on a finding that, absent domestication, Victoriabank was never subject to the Freeze Order in the first place. VictoriaBank asserts that this is the reason they should be allowed to keep $13.1 million in stolen Zeek Rewards investor funds. The Fourth Circuit didn’t actually rule on jurisdiction. Instead it punted the case back to the District Court, which was to either grant the Receiver additional discovery or lower the required standard of proof; both of which would ultimately satisfy jurisdictional issues. With $13.1 million in stolen Ponzi funds at stake, VictoriaBank doesn’t want the Zeek Receiver poking around. Other than the citing of a previous Ninth Circuit decision, I’m not seeing anything new in VictoriaBank’s 20 page petition. So I’m not really sure what they expect the Fourth Circuit to do. Same facts, same appeal, same court should equal the same outcome. I mean essentially you’re asking a US court to let some guy in Europe make off with $13.1 million in stolen Ponzi funds, a large percentage of which was sourced within the US. VictoriaBank can argue the technicalities all they want, who laundered what through who to evade regulation, but that’s essentially what the Receiver’s clawback case comes down to. In their petition, VictoriaBank has requested an “en banc hearing”, meaning the case will be reheard before all judges of the Fourth Circuit. The previous appeal was granted by a panel of three Fourth Circuit judges. A decision on VictoriaBank’s petition is pending. In the meantime the District Court case is once again on hold. 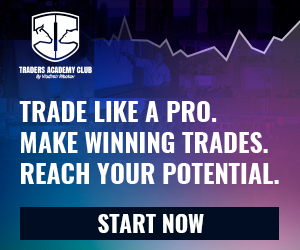 Previous story Copy Profit Success Global Review: $145 a month forex scam reboot?